It’s unfortunate when the skin condition you have is commonly referred to as ‘chicken skin,’ but as many women know all too well, Keratosis Pilaris is one gobble of a task to tackle. As a beauty editor, I’ve been learning about these little red bumps – usually located on the back of the arms, thighs or bum – for years. Caused by a build-up of keratin that literally blocks the hair follicle, the result is red, inflamed and bumpy skin. Most treatments involve glycolic acid-based creams to gently exfoliate the area and unplug those blocked follicles, but this can sometimes exacerbate the problem if it dries the skin too much. You see, you have to keep your skin barrier protected and one of the easiest ways to do that is to up your moisture levels. I mean seriously, is there anything these two can’t do? They’re like the superheros of the health world and now, they’re on a mission to give you smooth, bump-free skin. Simply mix equal parts organic coconut oil and organic apple cider vinegar (around ½ a cup) with 1 tablespoon of soy lecithin and mix together. You might need to put the coconut oil in warm water to encourage it to liquefy, but once mixed, use a cotton bud to smear the ointment all over the affected area and repeat daily. Sure, you’ll smell a little vinegar-y but the coconut oil counteracts most of it, plus your skin will be ultra-smooth in no time at all. Basically a fancy name for a soap made with pure vegetable oils (rather than animal fat), Castile soap helps nourish the skin rather than dry it out. It’s also used to treat KP when used in conjunction with a gentle loofah. Simply apply the soap to the loofah and use soft, circular motions to remove the excess lumps and bumps. Follow up with coconut oil to hydrate the area and kill any bacteria. I love Dr. Bronner’s Magic Soap. The lactic acid in the goat’s milk also doubles as a very gentle exfoliator. Exactly what you need when you’re trying to breakdown those keratin plugs. In fact, you could also use a goat’s milk moisturiser to ensure that the lactic acid is working overtime to slowly eat away those dead skin cells. Hooray! Try Billie Goat Soap. 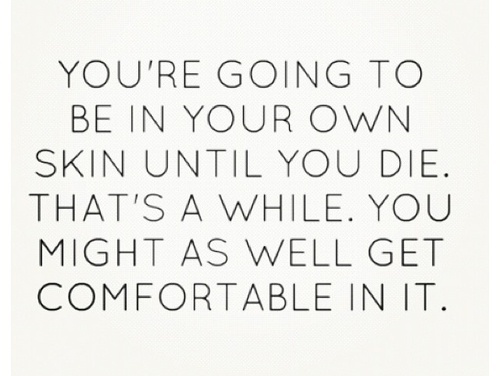 Most skin conditions start in the gut, making all this hard external work only half the battle. If your KP is really bad, it might be time to make some tweaks to your diet as well. Start with the simple things like reducing (or preferably eliminating) as many processed foods as possible. Keep things clean, even just for a few weeks, to see if there’s any improvement. I also recommend playing around with dairy and seeing if it affects your skin. Either cut it out completely or switch to super high quality organic options instead. Finally, it’s time to up your greens. Indulge in green smoothies and juices, enjoy kale crisps and overload on the good stuff to help balance out your digestion and shift some of the old, toxic waste lying around. Oh, and take a probiotic to inundate your gut with good flora. Do you suffer from KP? Any of these suggestions sound good? You know those last few sprigs of dill that always seem to go to waste? I’ve just stumbled across a brilliant use for them thanks to www.wholeliving.com. 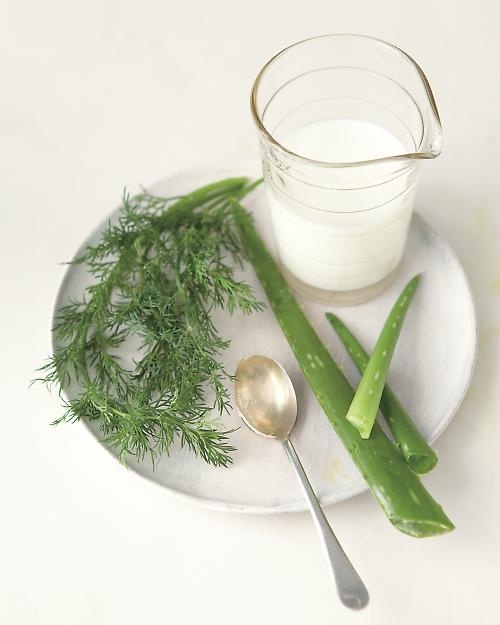 So, why not brush up your beauty skills and savour dill’s natural exfoliating ability with this funky little cleanser that’s super easy to make. Step 1: In a small bowl, combine aloe, milk and dill and stir until smooth. Step 2: Massage mixture into damp skin with either your fingers of a muslin cloth for around a minute, and then rinse, alternating between warm and cold water. Why bother? Well, Happies, this gorgeous cleanser utilises the antioxidants found in dill, which inevitably protects your skin from free radicals as well as bacteria. The lactic acid in the milk helps break down dead skin cells and improve the glowiness of your complexion, while aloe, as we know, is super soothing and great for irritated skin types. Any recipes you’d like to share? Sometimes small, subtle changes can make the biggest difference to your overall health. Case in point: my secret little skin-glowing trick that takes, on average, 10 seconds. At the end of your lovely warm shower, once you’ve washed away your shampoo and conditioner, rinsed your body wash and cleansed your skin, turn the tap to cold. Freezing cold. And wait…wait…wait…OK, turn it off. This tricky little beauty tip instantly gets the circulation pumping in your body, giving your skin an instant pick-me-up and gorgeous glow. Basically, it’s a cheat’s way to detoxing as it forces circulation to increase, shifting toxins around the body and getting the blood pumping in all the right places. If you’re really in the mood for some circulation boosters, try dry body brushing before you pop in the shower and massaging in a body oil after you jump out. Gorgeous, glowing skin in seconds!